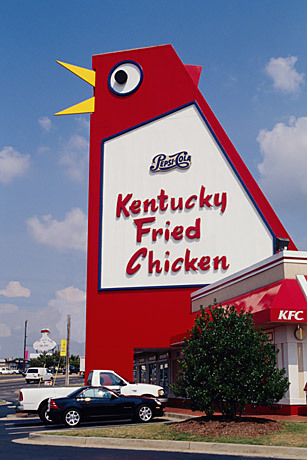 Kenny Rogers: Looks like feathers on a din-din sign? | Name-Brand Ketchup. Kenny Rogers: Looks like feathers on a din-din sign? “Just Dropped In (To See What Condition My Condition Was In)” by Kenny Rogers and The First Edition. Easily the most non-understandable lyric in the history of pop music. After forty-six years I finally had to Google the lyrics to figure out what he was really singing. I knew that couldn’t be right. Feathers on a din-din sign?! My brother Mike said, this might be the feathers on the din-din sign they’re referring to. Now that’s really echo smooth, ain’t it? I must nominate “Sweet Hitchhiker” by CCR as the most marble-mouthed lyric ever. Nearly every word except the title is indecipherable. IIRC, Greasy King Music was Fogerty’s publishing company.